AH! …Blissful home. No grand adventures this week, no Iconic Leader meetings or Presidential encounters. Just Ben and I, my sons, and our regular household loved ones. Life is good. Both Alan and William began summer school this week, Alan in college, and William kindergarten (Already! Tears….). 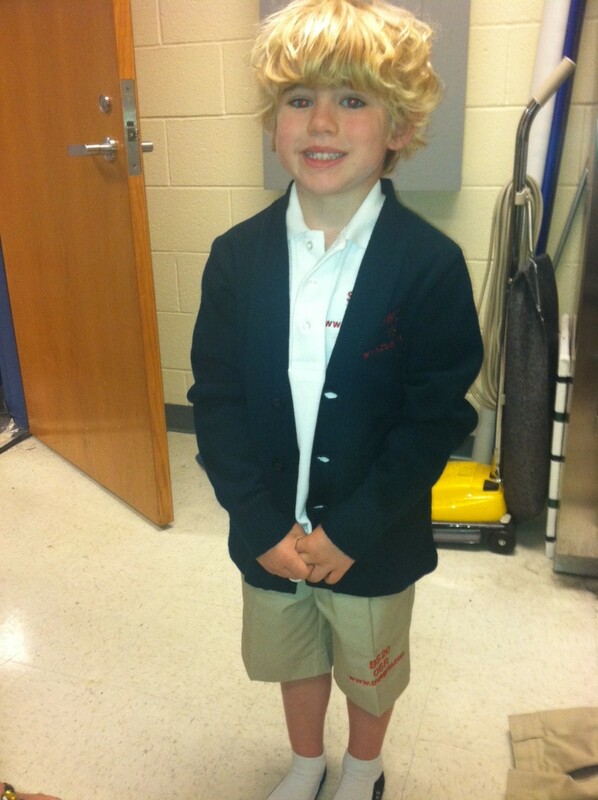 I was surprised to see my little one looking so grown up in his new uniform. As you can see by his curly locks we go through lots of SeneStyle Detangler at our house. I can’t comb through his hair in the mornings without it. But of course, we must always soak up as much play time as possible. 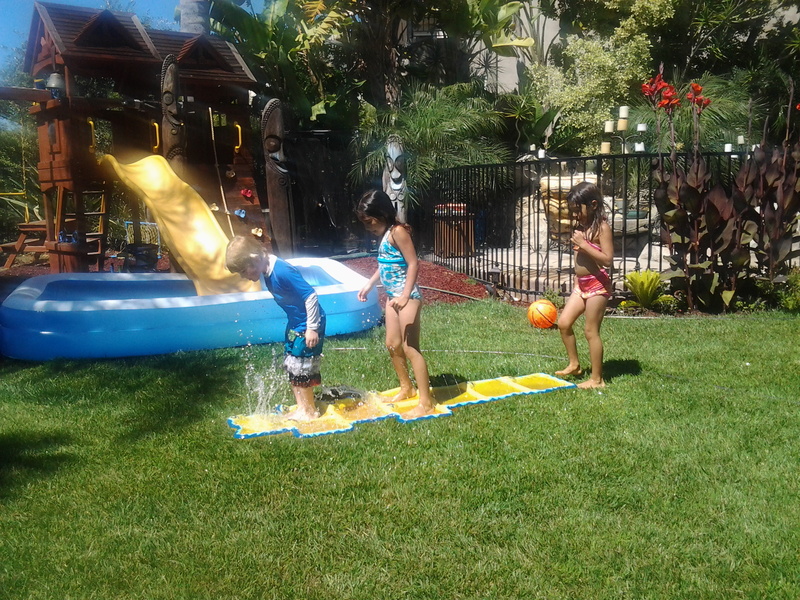 William has a blast splashing around in the water out in the backyard. 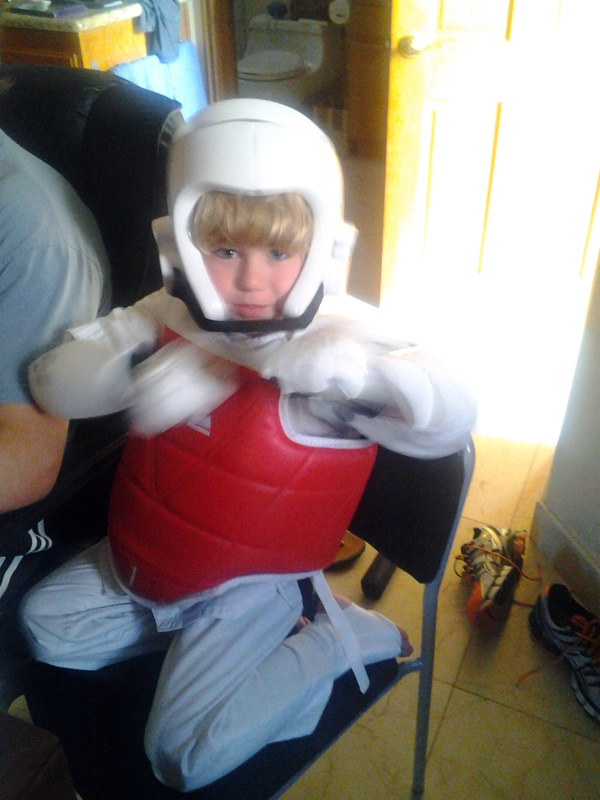 “Little”, as I like to call him, also participates in Taekwondo. 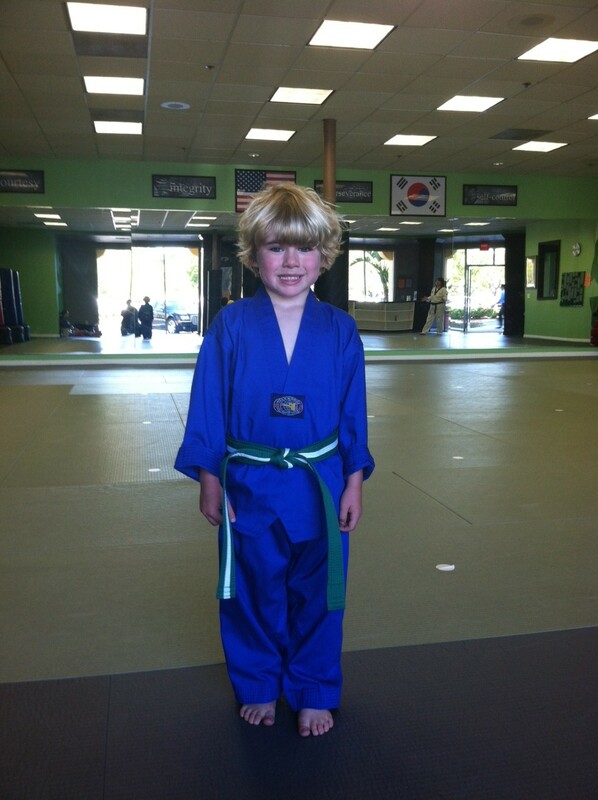 He loves to show his big brother the new moves he’s learned when he comes home. Once William has been tucked in and falls asleep, the older people in the house gather ‘round. After I finished a nightly routine of cleansing my makeup off with a layer of SeneDerm Body Butter (yes – that’s right) with a steamy white wash cloth (try it for immediate removal of color and an injection of moisture to help ward off wrinkles – it really works!) and then dowsing my skin with 12 skirts of Climate Control for face and throat, a full stopper full of SeneSerum-C (half squirted onto each cheek) topped with two big scoops of SeneDerm Evening Moisturizer (there is NO WAY my skin will wrinkle due to lack of effort or moisture! ), I join them for the remainder of the evening. 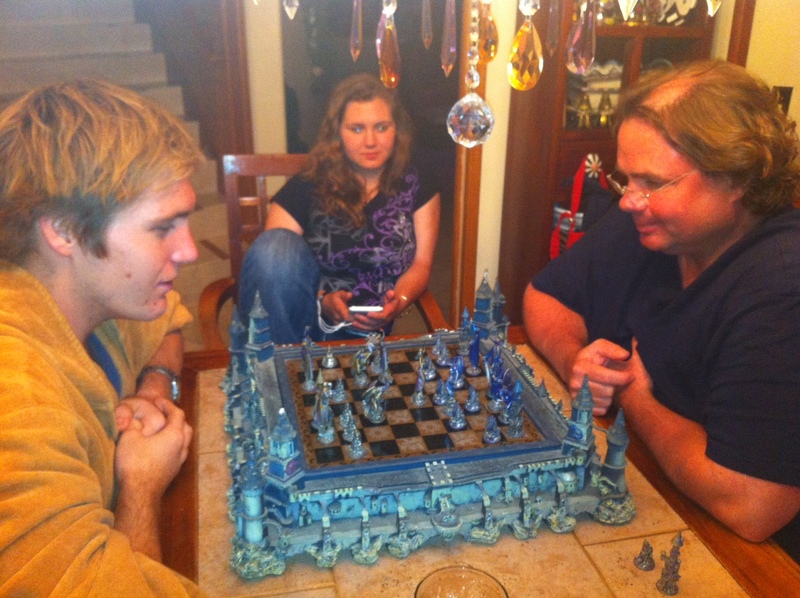 Along with niece Cori Brey, who is interning at SeneGence for summer break, Alan and Ben play extreme chess. Yes, life is good. We Moms are so blessed in SeneGence, aren’t we? Our SeneGence careers can take us to many wondrous places, and it can let us work at home as well, both opportunities I (and I am sure you too) am very grateful for. I love traveling all around the world meeting, planning, helping, enriching the lives of others, but to me the best part of this journey is coming home, being with family and spending precious hours and days as 100% mommy to my sons and wife to my husband. Yes, life indeed is good. It’s also great getting back to work at SeneGence corporate headquarters, developing new programs and products that really work to support and excite our Distributors in their SeneGence businesses. The team and I are currently working to prepare for upcoming events. I look forward to seeing you at Sene-U next Saturday July 7th and then at PIT on July 13th & 14th! Two New Sene-Babies Coming Soon! 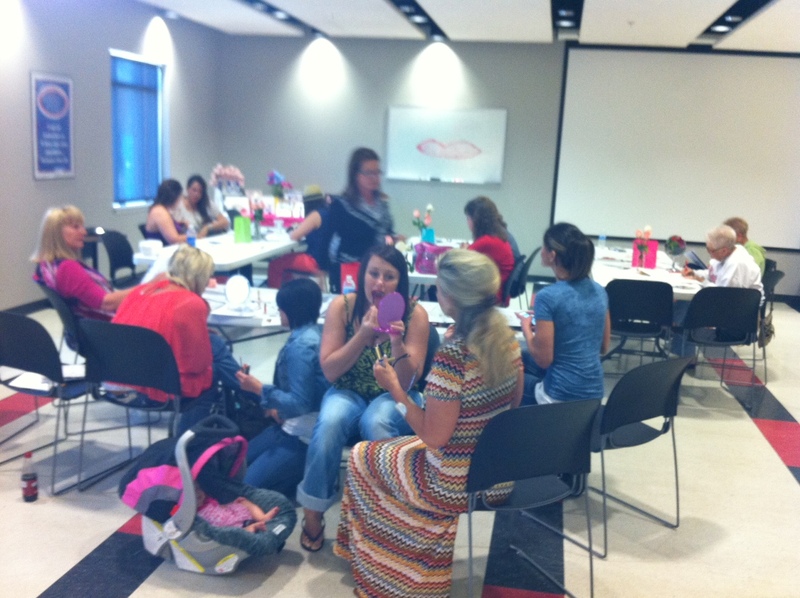 June 22, 2012 June 22, 2012 2 Comments on Two New Sene-Babies Coming Soon! 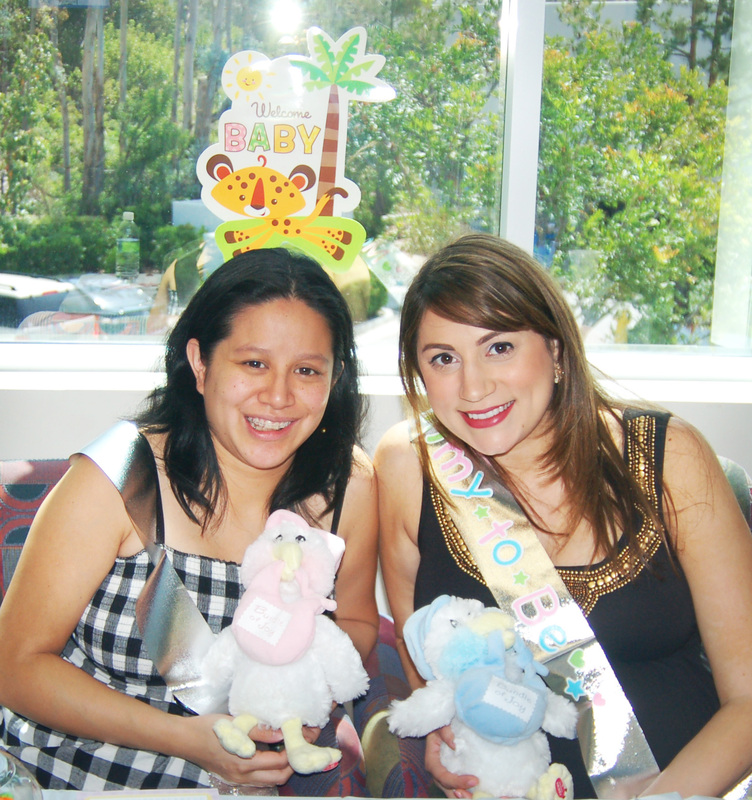 Last week we threw a baby shower for two special mothers-to-be, Michelle Gibellino, our Marketing & PR Coordinator, who is expecting a baby boy due July 16th and Anne Maltes, our Video Editor, who is expecting a little girl due September 1st. 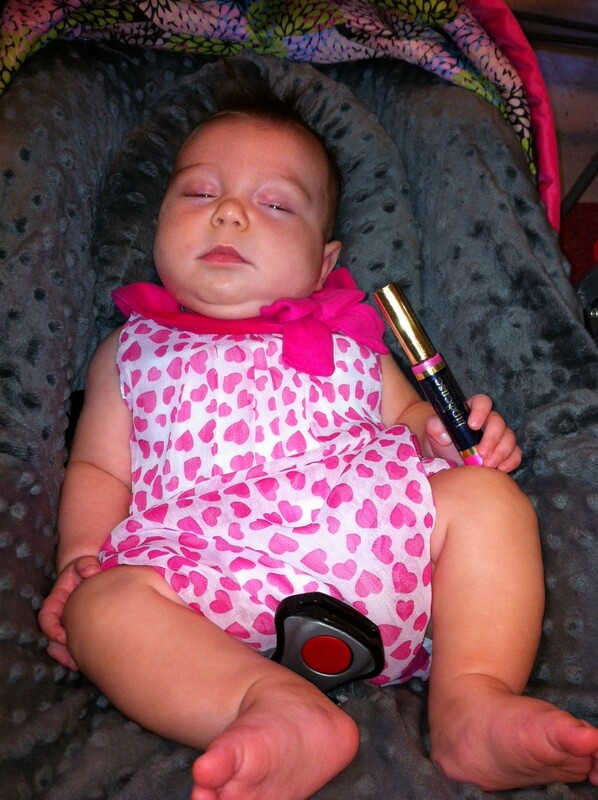 At SeneGence, we are no stranger to adorable little babies. In the past 13 years, I’ve had the pleasure of watching some of our Distributors’ and employees’ children grow up right before my eyes! We’ve had four “Sene- marriages,” (individuals meeting one another here while working) of which all have also had children from their unions. Our Marketing Manager, Kirsten Aguilar, has given birth to two precious children over the past two years – her son Maxson now 26 months, and daughter Finley, 6 months. And of course, I’ve had the immense pleasure of raising my two sons Alan age 24 and William, age 4, all while building SeneGence. As a working mother myself, I’m proud to run a company that offers a work-life balance to women. 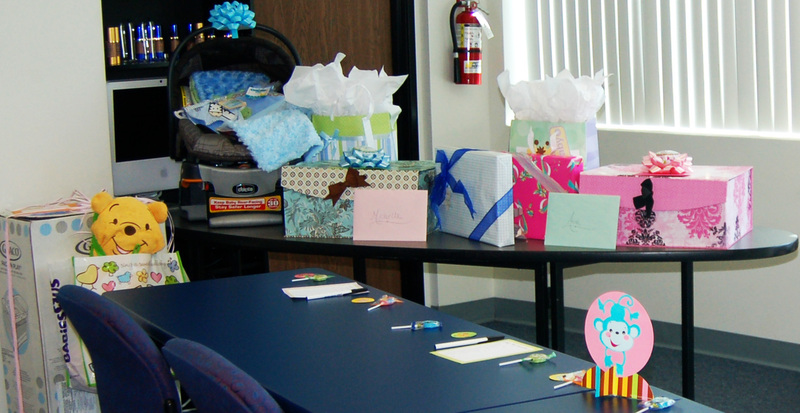 Our Distributors are able to create their own schedules around their priorities and our employees enjoy a supportive, family-friendly environment where children are celebrated. One minute we’ll be planning a new product launch, promotion, or event and the next we’ll take a break and re-energize by swapping stories about our children, sharing advice and more. It helps keep everything in perspective and help us relate to potential new SeneGence Distributors. We know what women want; careers that they can succeed in, while also being able to be good wives and mothers. 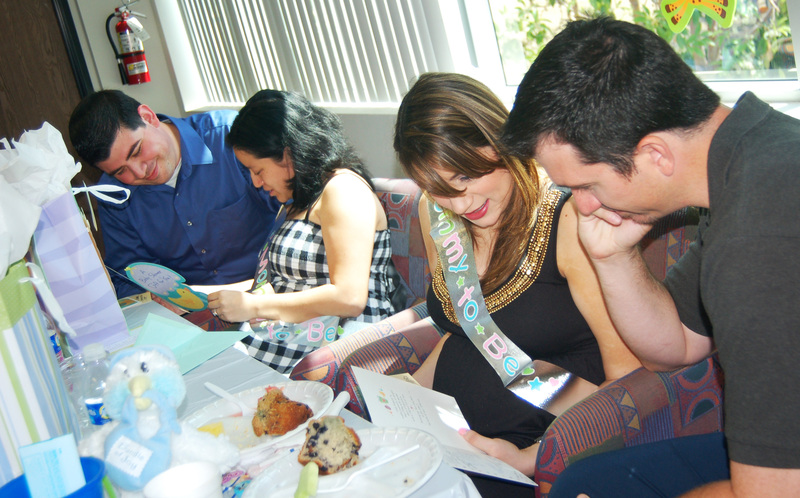 And with that I’d love to share some pictures from our special company baby shower brunch. 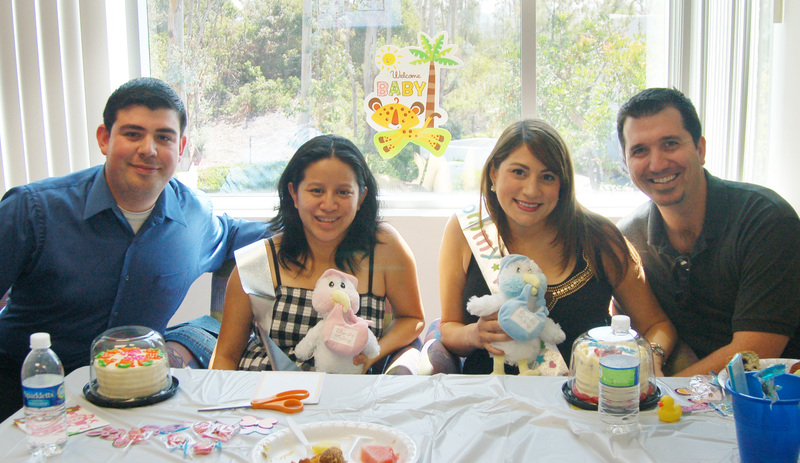 The husbands and father’s-to-be were also invited to share in the celebration. 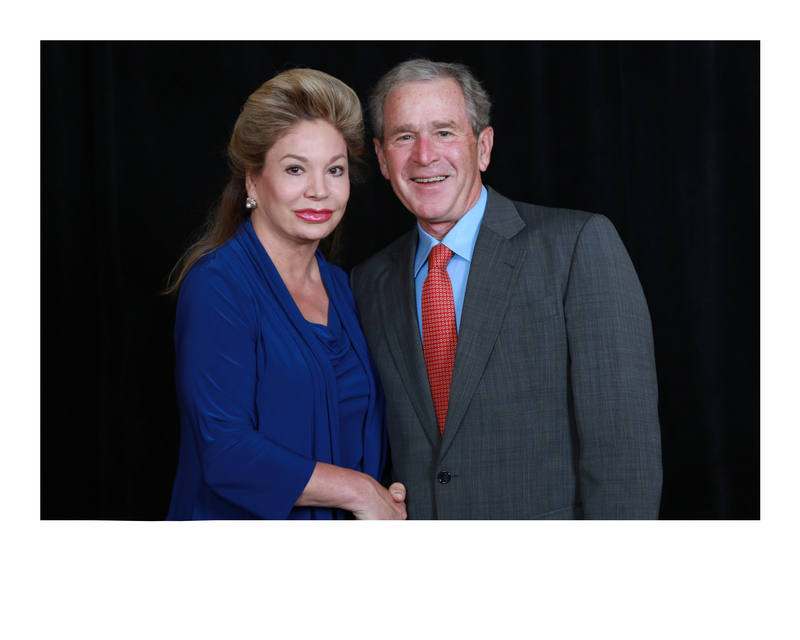 I have to say that one of this past week’s special moments was spending a little time with former U.S. President, George W. Bush. He is a warm and caring ‘real’ person and one I believe will be known in history as one of our greatest Presidents who bravely lead our country though what could have been very dark days. May he and Laura continue to be blessed as they pursue their varied quests in helping others around the world. June 12, 2012 June 12, 2012 Leave a Comment on Dallas, DSA, and Disney! The last two weeks have flown by, literally and figuratively. My husband Ben and I, flew to Dallas to attend the annual DSA (Direct Selling Association) Conference held the beginning days of June. 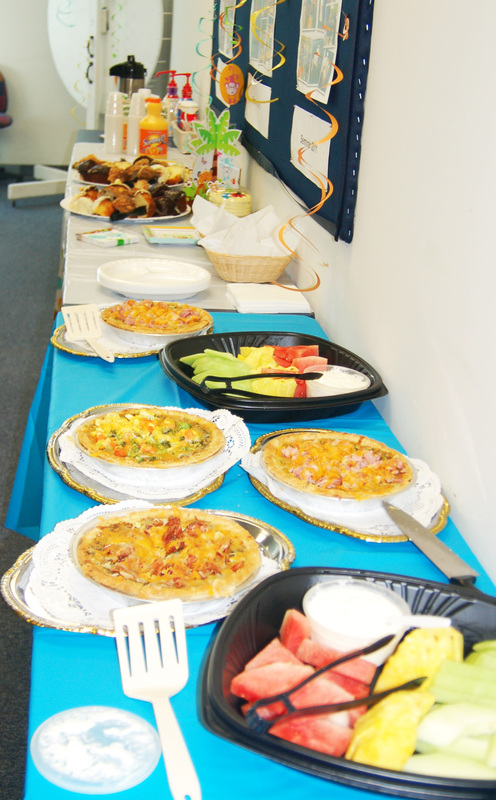 While there we attended workshops and took away some great ideas to improve our and your business. While we are happy about our growth in the market place, it’s essential to always remain in a constant state of improvement. As I tell my two sons, school is never out for a pro! While in the Dallas area Ben and I wanted to get together the first night with local Distributors and planned a casual ‘meet and greet’ dinner training. It was fun and heartwarming to be able to connect with both new and seasoned Distributors, and their guests who were interested in learning more about our long-lasting cosmetics, anti-aging skincare and network marketing career opportunity that really works. All in all, it was a great event. The next day we boarded a flight to Oklahoma City where we met up with Royal Kaylen Young and her new Oklahoma “Power Pocket” led by Deb Ford and her growing group. 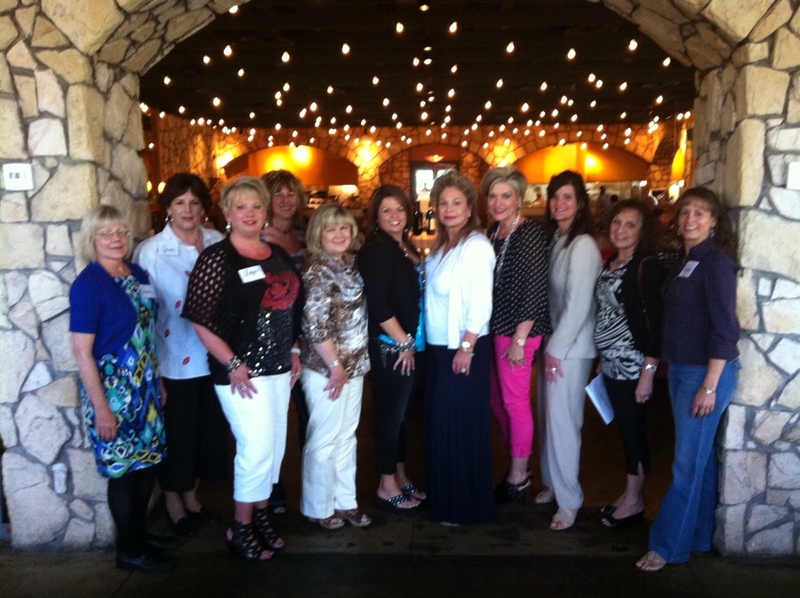 A few hours proved to be more fun with new customers and new Distributors in Oklahoma – then a flight back to the airport to return to Dallas for more meetings. 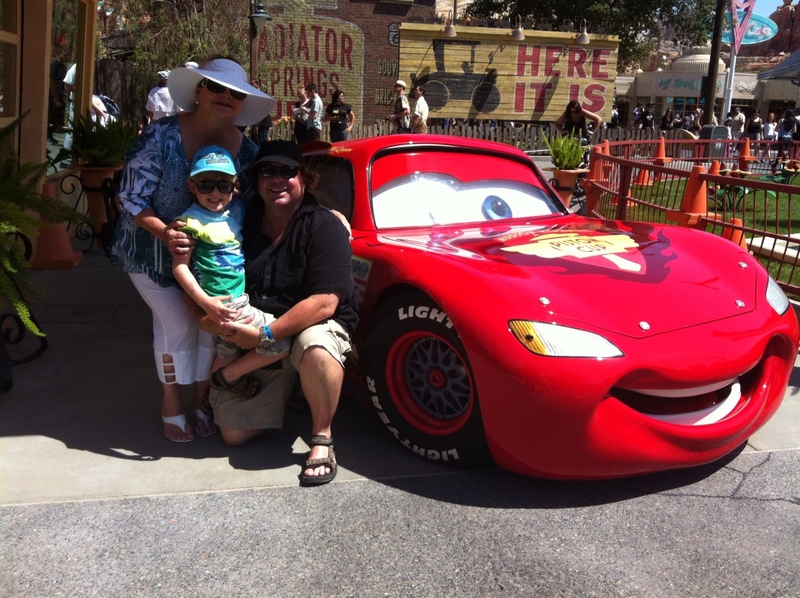 Upon our return home late last week we spent family time together exploring the new Cars Land at Disneyland! 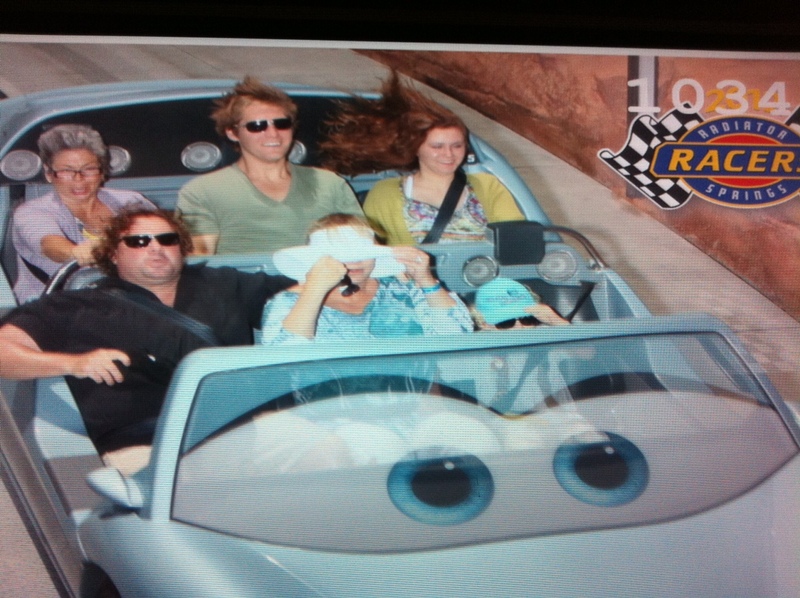 As annual Disney pass holders, we got a sneak peak at the new attraction opening June 15th. 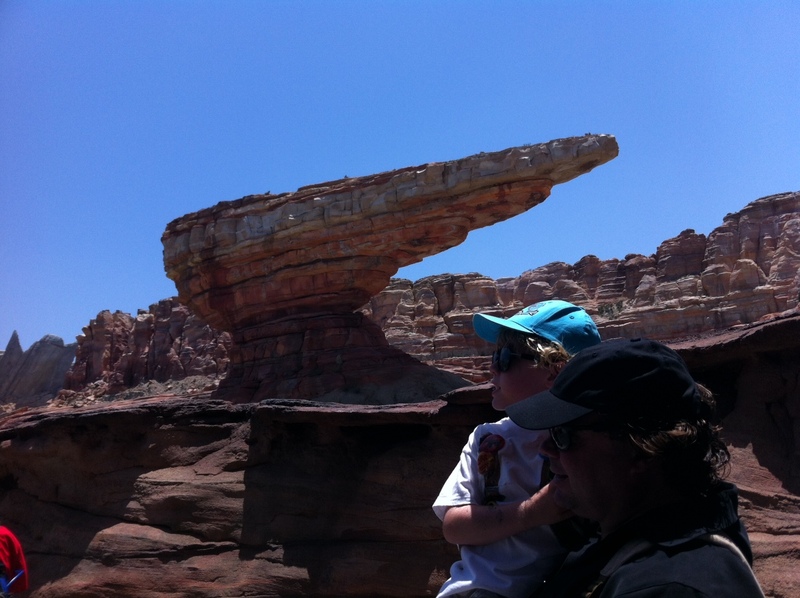 Cars Land … I mean ‘Radiator Springs’ is exactly as seen in the Cars movie. 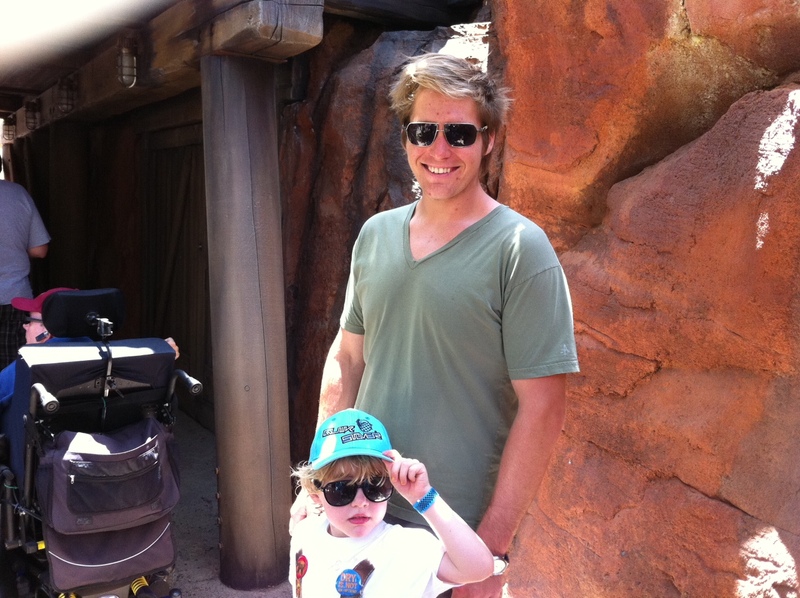 we felt like we stepped into the cartoon itself; William was enthralled with all he saw and did within Cars Land. Disney produced an incredible attraction with this newest effort. Beauty Trends … How far is too far? June 4, 2012 June 4, 2012 3 Comments on Beauty Trends … How far is too far? As the Founder and CEO of a cosmetics and skincare company, I regularly attend industry tradeshows that boast the latest beauty trends both good and bad. After year’s of attending these things, there isn’t much that phases, or shocks me when it comes to makeup and beauty. 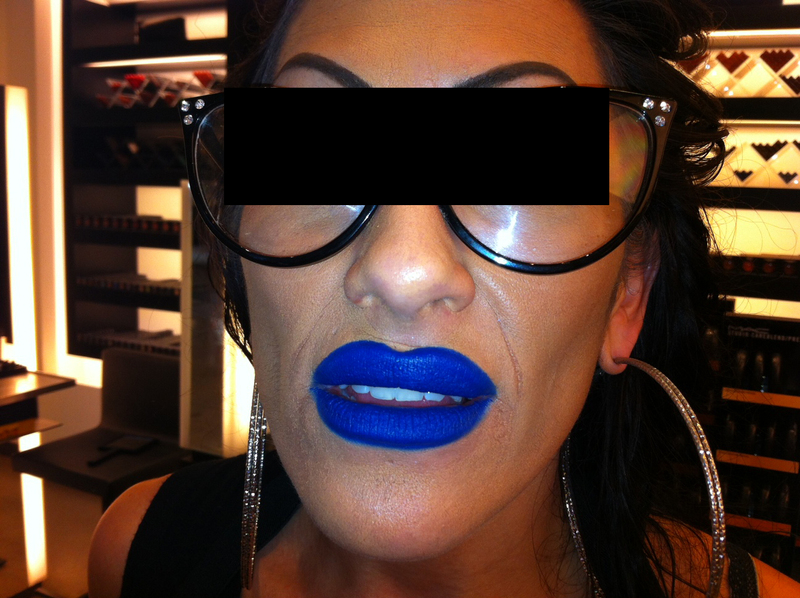 There are some exceptions however, like bright blue lipstick on a cosmetics sales consultant at my local mall … during the middle of the day. I’m all for trying new looks, but I’m a firm believer that blue lipstick is best left for Halloween. Would you agree? What are some of the most extreme beauty trends you’ve tried?